This chapter provides an overview of classification, epidemiology, oral and systemic characterization of disease and symptomology, approaches to diagnosis and disease management across the spectrum of pneumonia subtypes. In addition, the evidence base supporting oral-systemic connections between oral diseases and pneumonia is explored and recommendations for dental diagnoses in the context of pneumonia are proposed. With respect to advances in the research arena, consideration of microbiota and pneumonia phenotypes is examined, as well as current approaches to risk assessment surrounding definition of relative risk for pneumonia susceptibility. 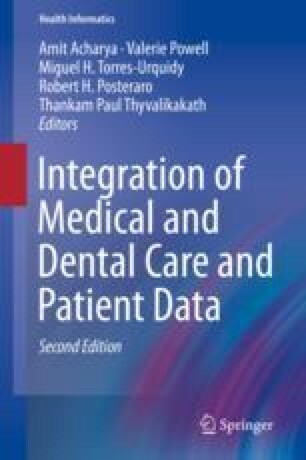 Further, interdisciplinary medical-dental care delivery is explored including development of interdisciplinary care plans for patient management. Finally, current ontology surrounding pneumonia, technical implications and opportunities for achieving improved definitions of pneumonia subtype phenotypes and quality assessment in care delivery are briefly explored. American Lung Association. Pneumonia. ©2017 American Lung Association. 2017. http://www.lung.org/lung-health-and-diseases/lung-disease-lookup/pneumonia/?referrer=https://www.google.com/. Accessed 5 May 2017. American Thoracic Society. Top 20 pneumonia facts-2015. 2015. https://www.thoracic.org/patients/patient-resources/resources/top-pneumonia-facts.pdf. Accessed 5 May 2017. Bunting R. ICD-9 to ICD-10: documentation for pneumonia McKesson. 2014. http://www.mckesson.com/bps/blog/icd-9-to-icd-10%2D%2Ddocumentation-for-pneumonia/. Accessed 9 June 2017. Caruana R, Baluja S, Mitchell T. Using the future to sort outthe present: rankprop and multitask learning for medical risk evaluation. 1995. http://ri.cmu.edu/pub_files/pub1/caruana_r_1995_1/caruana_r_1995_1.pdf. Accessed 9 June 2017. Centers for Disease Control and Prevention: National Center for Health Statistics. 2017 FastStats – pneumonia. 2017. https://www.cdc.gov/nchs/fastats/pneumonia.htm. Accessed 9 June 2017. Kawaler E, Cobian A, Peissig P, Cross D, Yale S, Craven M. Learning to predict post-hospitalization VTE risk from EHR data. 2012. https://www.biostat.wisc.edu/~craven/papers/kawaler-amia12.pdf. Accessed 9 June 2017. National Center for BioMedical Ontology SNOMED CT – Pneumonia – Classes: NCBO BioPortal. BioPortal. © 2005–2017 Board of Trustees of Leland Stanford Junior University. 2017. http://bioportal.bioontology.org/ontologies/SNOMEDCT?p=classes&conceptid=233604007. Accessed 9 June 2017. Scott II D. The Direct medical costs of healthcare-associated infections in U.S. hospitals and the benefits of prevention. Mar 2009. https://stacks.cdc.gov/view/cdc/11550. Accessed 9 June 2017. Tedja R, Gordon S. Hospital-acquired, healthcare-acquired and ventilator-associated pneumonia. 2013. http://www.clevelandclinicmeded.com/medicalpubs/diseasemanagement/infectious-disease/health-care-associated-pneumonia/. Accessed 16 June 2017. Therapeutic Guidelines Limited. SMART-COP tool for assessing severity of Community-Acquired Pneumonia (CAP) in adults. eTG. © Therapeutics Guidelines Ltd. (www.tg.org.au). 2010. https://lifeinthefastlane.com/wp-content/uploads/2010/07/etg-smartcop.pdf. Accessed 9 June 2017.